It was an asset to both Emily & myself. I had 50 minutes to get other things done, and she got the one-on-one attention she needed to learn not just vocabulary, but how to correctly pronounce the words in Spanish. Nora was extremely patient, and friendly. Each session would include time to talk about what Emily had been doing, and the vocab words related to it, and then the set lesson. Before the session, we received an e-mail with the PDF of what they would cover in the lesson, and the homework for Emily to fill out & e-mail back to her teacher. This gave her the chance to review as often as needed before the next lesson. Emily did the Middle School level sessions, which last 50 minutes. Since Emily had no prior experience learning Spanish, this was a good time limit, enough to review, and cover new material each time, without it being so long as to stretch her to mental fatigue. A half semester Middle School course lasts 7 weeks (one lesson a week) and costs $104.99. That works out to only $15 a class, definitely a bargain for what is covered! Homeschool Spanish Academy also offers 2-on-1 lessons if you have 2 students who are near the same age & at the same place in their learning. Those run $154.99 for the 7 sessions. 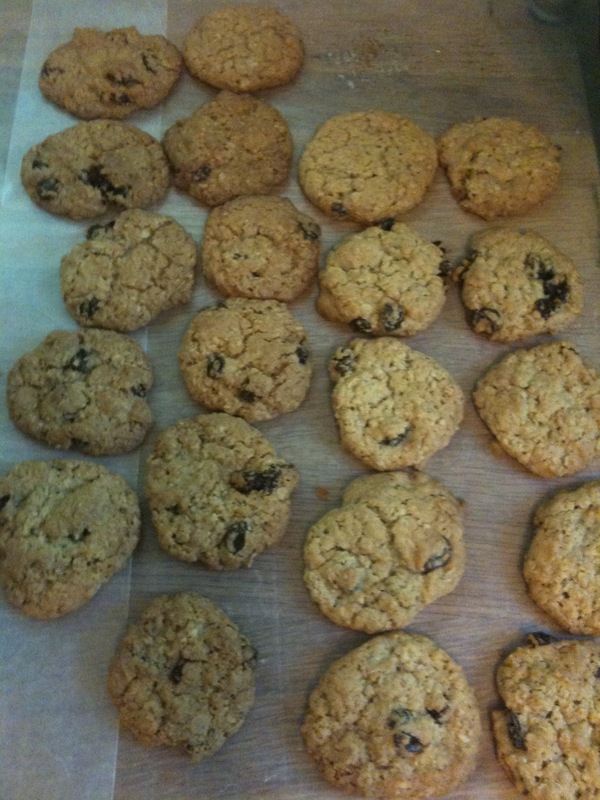 HSA offers a lot of options, from ages 7 to adult, and once, or twice a week sessions. The sessions for the younger children are about 25 minutes and cost less than $9 a lesson. You can pay by paypal. If you want more sessions per week, or more weeks ( a whole semester or more) the prices become even more economical. The results? In seven sessions, Emily went from knowing NO Spanish, to knowing some basic conversational Spanish. She learned that Spanish nouns have genders (which we Americans can have a hard time with!) 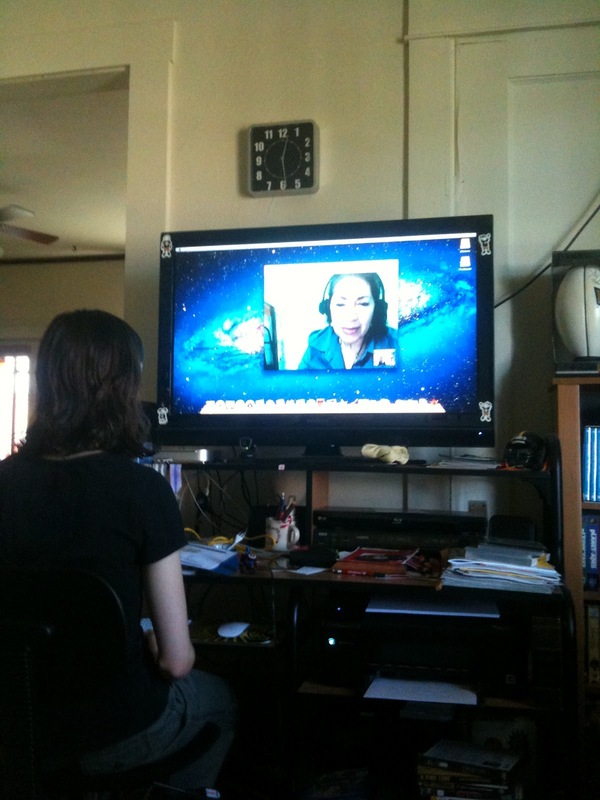 She also learned some basic information about Guatemala, where Nora lives. How cool is it that through modern technology, she learned Spanish from a native speaker, who still resides in her home country! 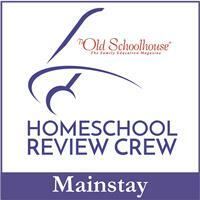 I have to give kudos to Ron Fortin, the founder of HSA (and their tech support guy!) I am not tech-savvy, but he worked with us the day before Emily's first class to make sure I had Skype correctly installed, and all the settings ready for a seamless start. Ron is quite patient! If you are wanting your children to learn Spanish, this is the place to go! They have a High School program that would be perfect for those looking for Foreign Language Credits. Parents, stop stressing out about it, and schedule your free trial lesson, you have nothing to lose, and a lot to gain! As a member of the TOS Crew, we received this service at no charge to us, in exchange for our honest review. All opinions are mine. Today was a full day. This morning was our local Home School group's used book sale. 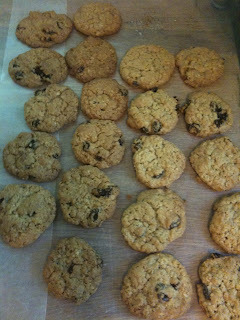 This afternoon the girls worked on their 4-H projects while Kurt baked some yummy oatmeal raisin cookies (in our new oven!) This evening we enjoyed a homemade pizza, then Kurt went off to volunteer at Symphony on the Prairie. While I wasn't looking for a lot of things at the booksale, I made a point to attend. First, it's good to look around- you never know what treasures you might find! Second, it's a great time to chat with friends (who are also home schooling Moms.) Sometimes we get so busy working on getting through the school year that we forget to take time to talk to one another. What kind of friend am I being if I don't talk to my friends? I think it's important that we as parents take time to work on our friendships. How better for our children to realize that friendship takes work than to see us model it. Life is busy. How are you doing on living it, not just enduring it? There are so many references in Scripture about life --- John 14:6 Jesus says: "I Am the way, the truth, and the life, no one comes to the Father except through Me." --- Deuteronomy 30:19 "This day I call heaven and earth as witnesses against you that I have set before you life and death, blessings and curses. Now choose life, so that you and your children may live." --- John 10:10 "The thief comes only to steal and kill and destroy; I (Jesus) have come that they may have life, and have it to the full." Life is to be lived, the good times, and the hard times. When we trust Jesus with our future, we trust Him with our every days as well. Unfortunately we often try to take back those days, and that is a mistake. We should be trusting Him for our daily lives as well as our eternal lives. When we stop trusting, we falter, we stumble, like walking through the woods after dark. The woods can be lovely, when you can see where you are going, but they can be scary, when you hear strange noises and keep tripping over tree roots. Choose to follow Christ, choose to trust Him. 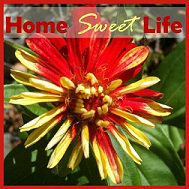 Choose to take time to talk to those around you, to nurture your friendships & your family time. Choose an attitude that imitates Christ, and pray! Pray! Pray! Pray! There are so many people around us who are hurting, struggling, slugging through life, but not really living...spread some light and a little joy in their lives. Share a smile, share some love, share your life. Live your life, with a purpose, don't just endure it. Your life will change when you turn your eyes upon Jesus! "Turn your eyes upon Jesus, look full in His wonderful face, and the things of earth will grow strangley dim, in the light of His glory and grace." Trusting that God will help with the balance of life for the upcoming week as well! 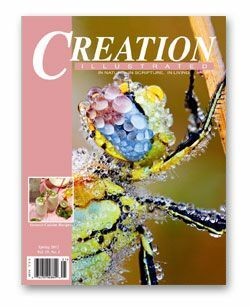 Creation Illustrated (www.creationillustrated.com) is a family magazine filled with wonderful photography and well-written articles. 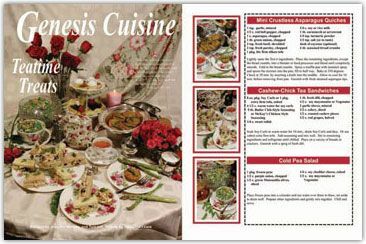 Each issue has a variety of articles, along with recipes (usually seasonal,) and a Children’s story. We enjoyed reading the variety of articles, although our younger daughter (age 12), preferred to read the Children’s story, or just look at the pictures. If you are looking for family-time read-a-louds, this would be be a great choice. 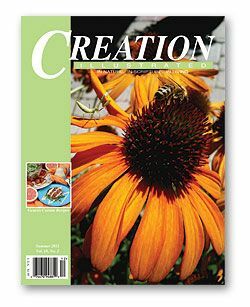 The photography is stunning, the articles use Scripture references to remind us of God as Creator, and most issues have a word-search and Creation Activities list in the back. The only downside I can see, is that this lovely magazine is only published 4 times a year. That 3 month wait can be a long time to a child. These are magazines we will put in our “to keep” box, and expect to view them over and over again. At $4.99 an issue, this is definitely a worthwhile magazine to purchase. Creation Illustrated has been called “The Christian National Geographic,” and I can see why, but the photography and thoughtfulness of the stories and poems remind me of the “Ideals” magazines my parents used to receive- and keep forever! If you’re looking for a gift that will delight the recipient, might I suggest a year’s subscription? The $19.95 you’ll pay will seem small compared to four issues of great reading, and an amazing amount of awesome photography! Tonight I think about all the things I would like to do tomorrow... like eat ice cream, catch fireflies, and look at the stars. But as a Mom, I know there are other things that must come first, like cleaning the toilets, watering the tomatoes, and writing my review that is coming due in a couple of days. This is the life we often live as Moms, caught somewhere between two lists. The "fun Mom" list and the "loving, responsible Mom" list. Let me encourage you, the two CAN blend together. Don't let your necessary "to do" list overwhelm the time you have each day to spend on your kids, but rather learn to love your kids through both work and fun. It won't hurt your kids (and it might even help them) to learn to do chores. One thing we can't get back is time, so spend yours wisely. Now that our girls are inching up almost as tall as me, I look back over what we've done together. What I remember is not always how they remember the past. I'm wanting to make good memories for all of us. So I'm striving to be a balanced Mom, one who does the necessary things, but still has time & energy for the fun things. My husband is right, I can be a stick-in-the-mud when I don't want to do something. Usually that's because I'm just plain tired. Now it's up to me to keep myself organized enough that I'm not running on empty when it's family time. So tonight I'll go to bed, praying for wisdom for myself, and safe travels for our friends, and maybe, just maybe, tomorrow can hold both clean toilets AND time to watch the stars. Be blessed! The basic idea is this, have your child sit down with the iPad and learn how words belong in a sentence. 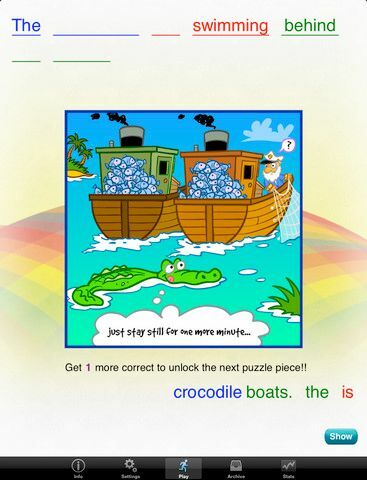 You can begin using this app with young children who have just learned to read, because you can group the words, and have them color coded to match the lines. Or you can use this with older children by turning off the coloring of the words or the lines. You can also challenge your child by turning off the ‘word grouping’ option. Our daughter had fun with the ‘record correct answer’ option, as she got zany in the accents she used, or added an editorial aside about the picture. There are a LOT of educational apps out there. As you’re looking for one for your child, be sure to look at the ‘about’ info on each one before you decide. Rainbow Sentences was designed to help both visual and auditory learners. It can also be used quite well to help children with learning difficulties, as you can set the options separately for each user. We'll be on the lookout for more apps from Mobile Education Store, because learning should be fun! As part of the TOS Crew, I was provided this app for review free of charge. I was not required to write a positive review, all opinions are mine. We as people, especially as Americans, seem to have an insatiable desire for the "getting" of things. I know that I too struggle with this. The world around us (movies, print, radio) constantly sends the message of "getting" the newest, biggest, best things. When we read God's word, we see a totally different perspective. It is a focus on "giving." We are to give (cheerfully) of our time, money, and talents. So you might say 'I don't have any money to give, I'm barely making ends meet now!' The good news is that still leaves your time and talents to give. 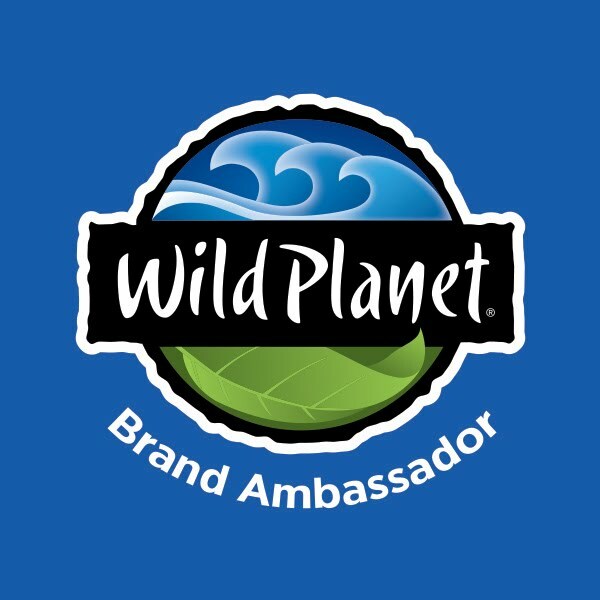 I'm not talking about boarding a plane and going to another country to do mission work (although it is really cool when God allows you to be a part of that!) What I'm talking about is the daily, small sacrifices that allow those around you to be blessed by your giving. What can you give? A hug, a smile, a meal to a new Mom? Maybe your family needs the gift of your time. Instead of trying to plan the 'perfect' something, just give yourself. Take time to read to your kids, to sit with your spouse, to call your parents on the phone. These small gifts can be the beginning of a new path, one that leads you closer to God's heart as you seek to give to others. You can't out-give God, but it sure is encouraging to others when we try! Give your prayers to the lost and hurting, your smile to the clerk at the store, your time to read a bedtime story to a child, your life to follow Christ by reading His Word and following His example. Life can be a grand adventure, or a tale of drudgery. Most days the only difference between the two is your own attitude. Our attitude should be that of Christ Jesus, Who became a servant to save us through His death on the cross. It is not easy to keep this attitude. There will be another force at work, whispering in your ear to turn back to your selfish ways. Rest confidently in this: it is when we draw near to God that satan must flee. Each of has a choice to make, to spend our lives "getting" or "giving." If you're feeling strung out, crabby, or just unsatisfied, let me encourage you to try the road less-traveled, the road of "giving. "I think you will be glad you did. I know your family will be glad you did. Most importantly, God will find joy in your obedience. Join me in this journey, as we change the "getting" into "giving," one day, one hour, one choice at a time. Pray for me, as I know that this life is not an easy path to follow. Know that I'll be praying for you as well!